Most of the stunning visual effects you see everyday on the web or in movies and games would not be possible without GPUs. These Graphical Processing Units with their thousands of cores running in parallel are incredibly fast, but can be tricky to program at first. So what is a shader? A shader is just a piece of code that runs on the GPU. This piece of code takes as input a pixel on the screen, and returns a single color. Thanks to the GPU, the same piece of code can run on every pixel on the screen at the same time. Just to get an idea of how big a difference this parallelization makes: imagine that it takes the CPU 0.1 seconds to draw a single pixel. This means it would take 13 hours to draw an image with dimensions of 800 x 600. On the other hand, if it takes the GPU 0.1 seconds to draw a single pixel, it would take 0.1 seconds to draw the whole thing. Of course these are just made up numbers, but that's essentially why GPUs are so much faster at tasks that can be run in parallel (such as graphics processing). // this is the main render call that makes pixi draw your container and its children. You should see the image appear in the center of the screen when you open the file in your browser! You can try loading in any other image by putting in the url of the image you'd like in the PIXI.Sprite.fromImage() function. 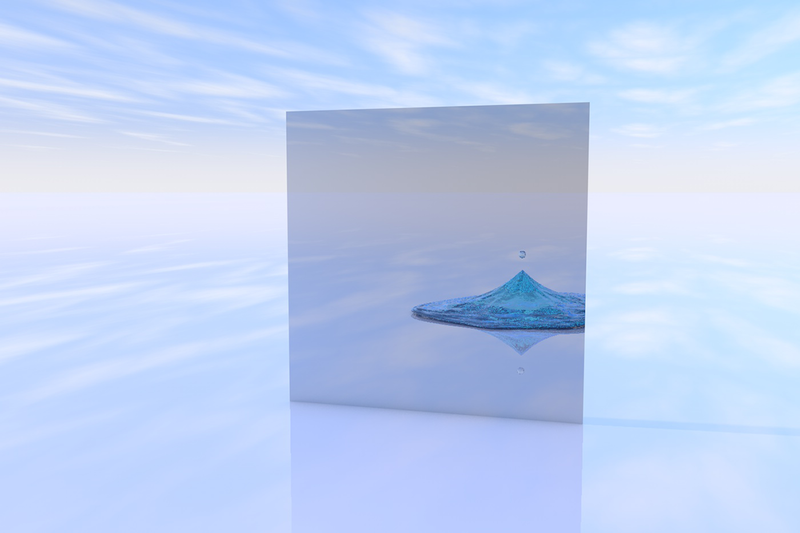 Shaders are written in GLSL (OpenGL Shading Language). This is a special language designed to run on the GPU. It looks and feels very much like C. Shaderific.com has a really nice reference page for the language. And you have a shader running! Here is a working CodePen of what we have so far.gl_FragColor is the color of the pixel to be returned. It's of type "vec4", which is as you'd expect, a vector of 4 numbers. (The first argument that we're leaving blank is a vertex shader, another type of shader that we won't go into in this article). A good way to understand how this works is to just pick out a few pixels on screen and think about what the output would be. A pixel on the left edge of the screen has a gl_FragCoord.x value of 0. So its color ends up being black. On the right edge, it has a value of whatever the width of your screen is, and assuming that's somewhere around 1000, it will be red. Note: GLSL is strict about variable types. If you try to divide by 1000 instead of 1000.0 it will give you an error in the console that you can't divide a float by an int. Then you can access its components using x,y,z and w.
Both are equivalent, but the convention is to access using xyzw when the vector represents a point or a position, and rgba when it represents a color. We're not limited to just the pixel's coordinates as data. In fact you can send anything you want to your shader. You can do this using uniforms. A uniform variable is just a variable that you set from the CPU. (It's so called because its value is the same for every pixel, unlike something like gl_FragCoord). Every uniform must have a type and a value. The type f translates to "float" in GLSL. v2 would translate to vec2 and so on. You should see the color changing over time! Here's a CodePen example sending time, mouse position as well as screen resolution. Here is a working example of removing the red from the image. There's definitely a lot more to learn about shaders, but knowing how to set a pixel's color, render an image and send custom data covers all the basics you'd need to be able to pick apart any shader you see on the web. ShaderToy is an awesome resource for shaders. A great way to learn would be to just try and break down a shader and understand what it's doing. There are minor differences between the code on ShaderToy and the conventional GLSL shader code.The main function, for example, is called mainImage on ShaderToy. gl_FragColor and gl_FragCoord are called fragColor and fragCoord respectively. ShaderToy also does not let you set our own uniforms, but they have a bunch provided under the "shader inputs" tab. What happens if you change 0.1 to 1.0? Or higher?I hope this article was a nice foray into the world of GPU programming!